No matter the size or scope of your interior residential, commercial or industrial painting project, the experts at Bill Engler Painting can provide painting and restoration services to enhance the appearance of your home or business. Choosing the right selection of paint colors can transform the interior of your property and our experienced painters, artisans and design experts are available to help you select the right color palettes to match any style décor. Our exterior painting services will ensure that your home has the best curb appeal on the block, and there is nothing more effective than enhancing the exterior or your home or business than a new coat of quality paint. 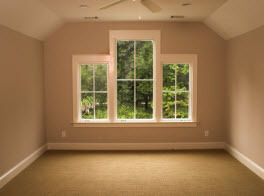 The artisans at Bill Engler Painting will provide your property with the highest level of service imaginable. When you contact the experts at Bill Engler Painting you can feel confident knowing that you are hiring the best painting company in the Greater Reading PA, Berks County and the surrounding areas. If you have an area in your home that requires the removal, replacement or installation of wallpaper, contact the professionals at Bill Engler Painting for assistance. Our experienced and highly trained team of wallpaper professionals can handle all manner and size of wallpaper projects. 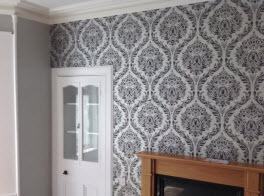 We take care of the stripping, removal and installation of wall paper in your home or business proficiently. Our friendly wallpaper specialists have all the training and equipment needed to ensure that you will be 100% happy with the finished project. The highly skilled and experienced dry wall specialists at Bill Engler Painting can professionally repair, install, and finish the drywall in your home or business. Our drywall experts can install new dry wall, and replace or repair any damaged areas to provide a professional finish. 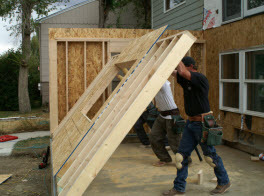 When it comes to the professional application of drywall, you will be impressed with the level of craftsmanship that we bring to both residential home and commercial business drywall applications and repairs. If you are interested in improving the appearance of your home or business, begin with our professional pressure washing services. Our experienced team of pressure washing experts uses the best equipment available to remove dirt, mud, grease, mold, cobwebs, bird droppings and other debris from the exterior of your home, driveways and patio areas. We can also remove graffiti from the exterior or your commercial property, storefronts and driveways. 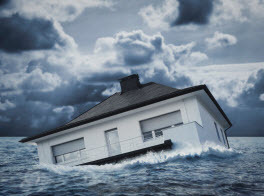 Other professional services include Wood, Fence & Deck Staining and Water Damage Restoration. For more information regarding our comprehensive list of services for your Greater Reading, PA home or business, contact the professionals at Bill Engler Painting today and speak with a friendly customer service professional regarding all of your interior and exterior painting and restoration needs.